Spa breaks in Oxford are easy to come by. We have five listed on our site that all offer great accommodation, tranquillity and peace and quiet in the spa area. All of our venues offer easy access into the heart of Oxford for a great day out as a couple of with the family. Fancy a round of golf? Look no further than the Oxfordshire Hotel, offering one of the most exciting courses in the country. Or, would a quiet and relaxing spa weekend be more your thing, both the Oxford Belfry and Oxford hotel offer great rates on one and two night spa breaks. A spa break in Oxfordshire would bring you to the “City of Dreaming Spires”, a city that is a favourite with film makers from across the world and it’s easy to see why. Oxford city centres houses a massive 1,500 listed buildings and, built in stunning honey-coloured limestone, you could be forgiven for thinking you had entered a fairy-tale land. The city of Oxford shows off buildings from the 11th century onwards, covering British architecture from every major period in history. 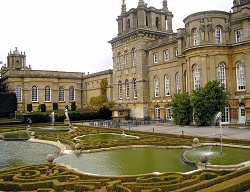 The city of Oxford offers visitors an abundance of things to do whatever your interests are. The market in Oxford first opened in 1774 and offers visitors a feast of sights and sounds in a truly unique atmosphere. Hire a boat for the day from one of the many rental establishments and make you way up and down the Cherwell or Thames Rivers. If you prefer to keep your feet firmly on solid ground then Oxford offers multiple museums for any interest, from science and history to books and instruments. An Oxfordshire spa break is the perfect place escape everyday life and take in the sites.